Java 7u51 is scheduled for release in January. It will have some consequences for you Forms installation that you need to address. As far as I know there is no problems with using 7u51 on the server side, only on the client side. 7u51 requires you to sign all RIAs (Applets and Web Start applications). Oracle already signs the standard jar files. The oldest 11g Forms I have access to is 11.1.1.6 and here they are already signed. If you use you own jars you need to sign those with a real certificate, self-signed is not good enough anymore. If you use third party jars you probably also need to sign them. You can check via jarsigner. Here is an example of how to sign a jar file. 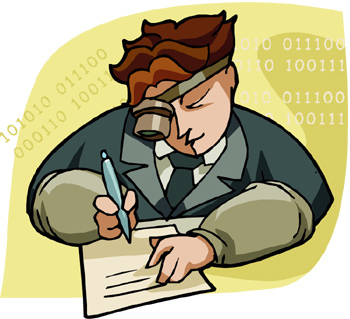 You need a code signing certificate from a CA. Here we have a my-cert.pfx file that contains a PKCS#12 keystore with a private key and a certificate. The certificate is “your” public key. There is also a couple of intermediate certificates for the trust chain from the certificate to the CA. First we need to figure out what the keystore alias is for the private key. [oracle@wintermute ~]$ keytool -list -v -keystore my-cert.pfx -storetype pkcs12 | grep "Alias name"
Now we can sign the jar with the private key. Here we “signed” jacob.jar and generated a new signed version called jacob-signed.jar. If you do not specify -signedjar the original jar file will be overwritten. Now we can verify if the jar file is signed OK. I have changed and shortened the output for easier reading. The only things that has changed in the jar file is the MANIFEST.MF file in the META-INF directory and that two files has been added to the directory. A signature file (.SF) and a signature block file (.RSA/.DSA/.EC). If you unpack the jar file you can have a look at the manifest and the signature files. Java 7u25 introduced a Permissions attribute in the manifest file. sandbox – Indicates that the jar runs in the security sandbox and does not require additional permissions. all-permissions – Indicates that the jar requires access to the user’s system resources. From 7u51 you are required to set this attribute. Oracle has released a patch (16837591) that will fix this for the standard Forms jar files. The patch has just been supersede by patch 17448420 that include everything from 16837591 plus a fix for a problem if you use Java 7u45. Notice that the patches are currently only available for Form 11.1.1.7 and 11.1.2.1.0. A backport to 11.1.1.6 has been requested but noting has happed yet. For you own or third-party jars you have to fix this yourself. Might be time for an upgrade. So, Java Applets are not free anymore. Not even for self-study. Need to pay to get a “real” certificate. I just tested the Exception Site List and it did work as a workaround. the exception list workarrond worked on java 7, but now here is Java 8 , and exception list does not work anymore. can you tell me if I can sign the jars without buying a real certificate ?